The planning for the 75th Anniversary Reunion is now underway, the event will take place in Portsmouth the weekend of the 6th to 8th September 2019. We have negotiated reduced rate accommodation for the reunion. These can not be booked direct – Hotels include the Royal Maritime Club, Travelodge and Holiday Inn. Accommodation will allocated on a first come first served basis (Please note the RMC is primarily single rooms). Note: Limited availability on single rooms. 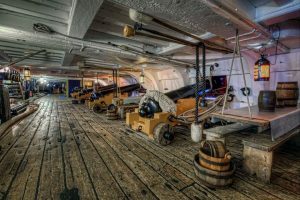 We are delighted to announce that thanks to the Second Sea Lord, on Saturday 20th July 2019 – we will be holding a Black Tie Dinner on-board HMS Victory on the Lower Gun Deck. 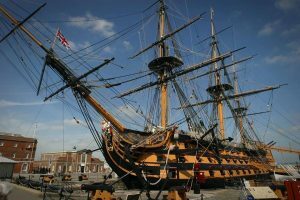 The event starts at 1800 with a private guided tour of the iconic warship, then there will be a reception drink before a display of the Royal Marines Corps of Drums, it will then be a three-course meal with Wine and Port.. The evening will then end with a talk from our guest of honour and an auction. The event is limited to 100 Guests and are sure to sell out quickly. Cost is £200 Per Person with a deposit of £25 Per Person is required to confirm your ticket.